Its parts move no more than 2.5 miles per hour, but the equipment housed in a hangar just off Rt. 322 and 55 in Mantua Township may be the link to transportation innovation for the Garden State and the nation. 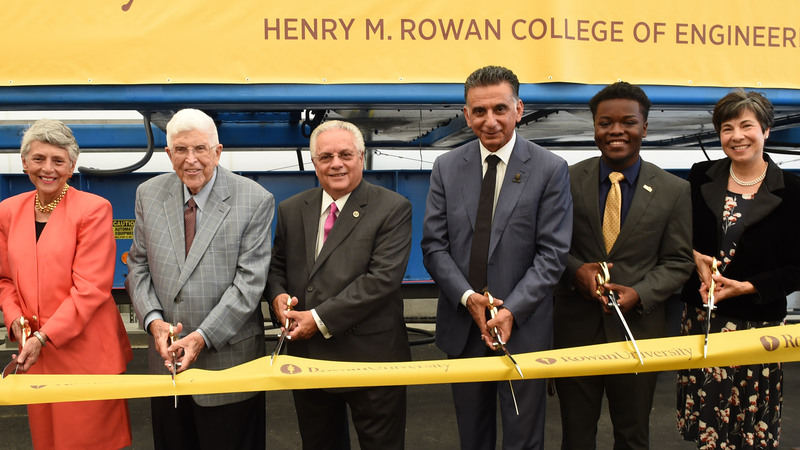 The equipment is a 50-ton Heavy Vehicle Simulator (HVS), and its home is the brand-new Center for Research and Education in Advanced Transportation Engineering systems (CREATEs) at the South Jersey Technology Park at Rowan University. About 200 people attended a ribbon-cutting ceremony and grand opening for CREATEs on Sept. 14. 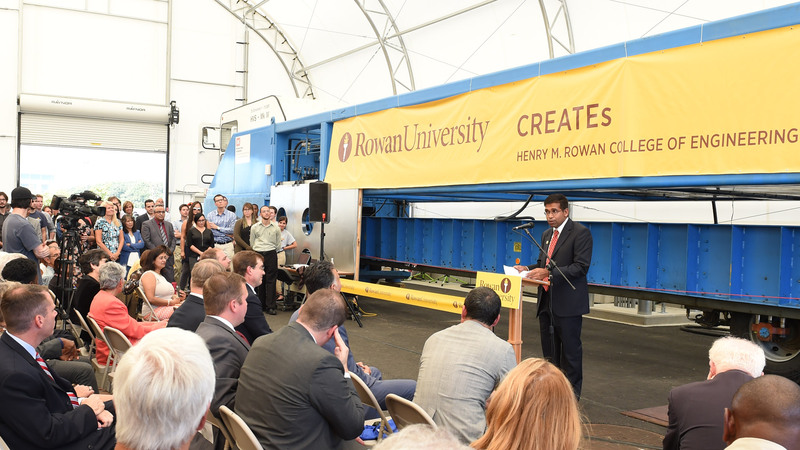 The State of New Jersey, the U.S. Department of Defense/Army Corps of Engineers and the New Jersey Department of Transportation helped fund CREATEs with $5 million, investing in a facility where researchers will be able to mimic a decade’s worth of wear and tear on roadways and landing strips in less than a year. 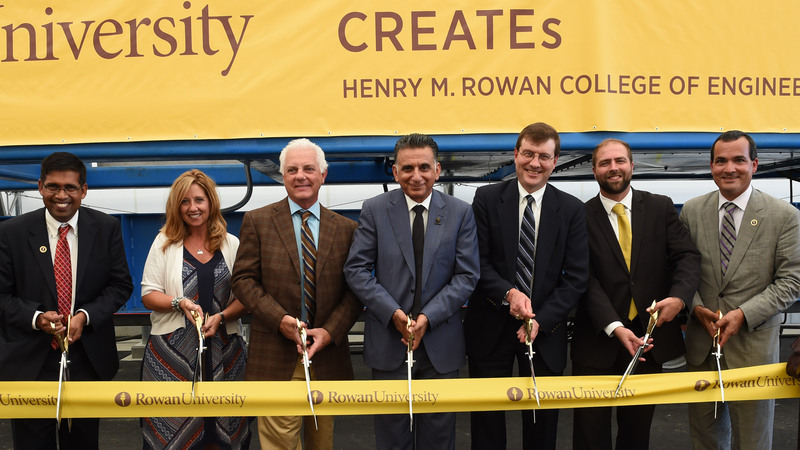 Rowan is the only college or university in the Northeast to house an HVS, and that means teams of students and faculty will partner with and conduct research for state entities and manufacturers to improve roadways, reduce environmental impacts and more. 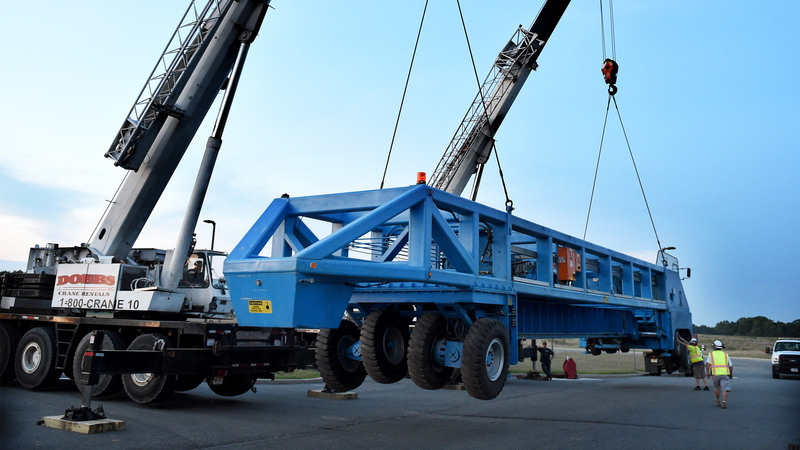 In sections that can be dedicated to specific organizations, those researchers will be able to assess the status of existing structures and evaluate the potential of new materials and how they will hold up to cars, trucks and airplanes. Rep. Donald Norcross cited the initiative with a Congressional proclamation presented at the opening. 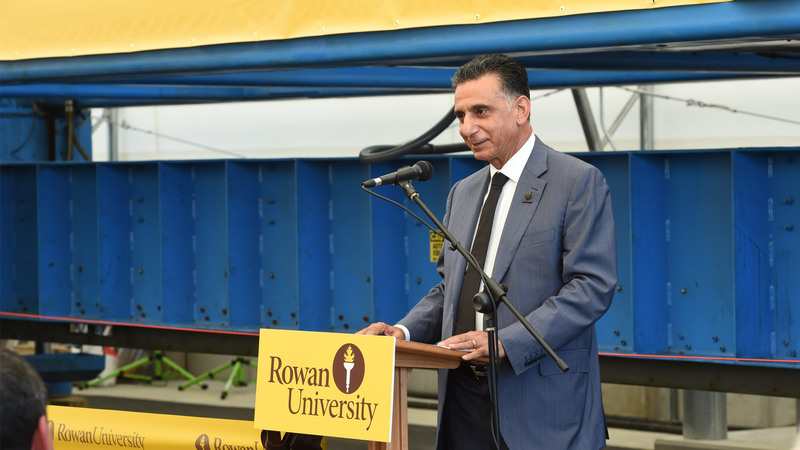 Houshmand said the work at CREATEs speaks to the University’s commitment to conduct studies that make a difference. “Our research is practical, real-world research,” he said. 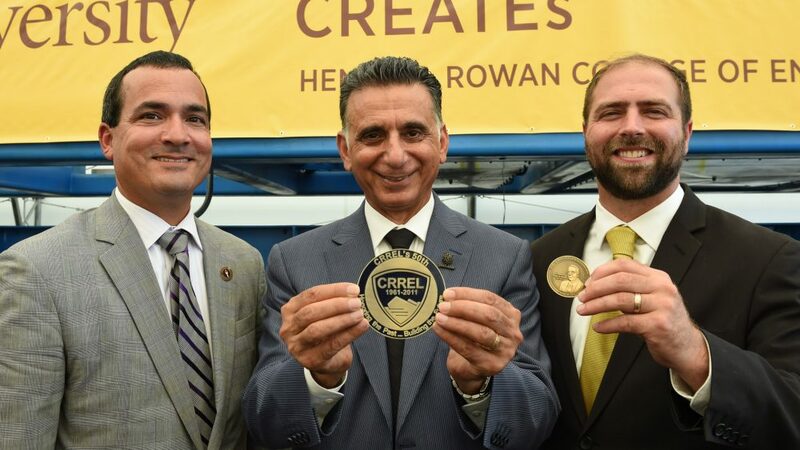 CREATEs got its start with a conversation two years ago between Dr. Yusuf Mehta, a professor of civil and environmental engineering who heads the new facility, and Jared Oren, chief of the Engineering Resources Branch of the Cold Regions Research and Engineering Laboratory, U.S. Army Engineer Research and Development Center for the Army Corps of Engineers. 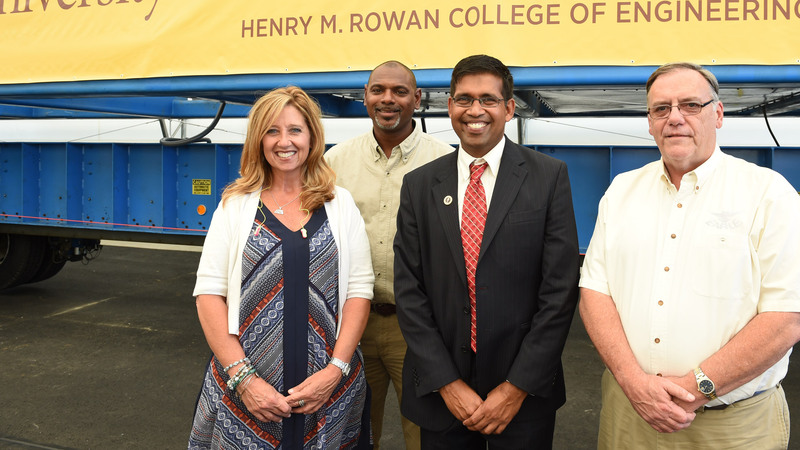 Oren said that the work his team conducts in New Hampshire will intersect with the work done in Gloucester County. 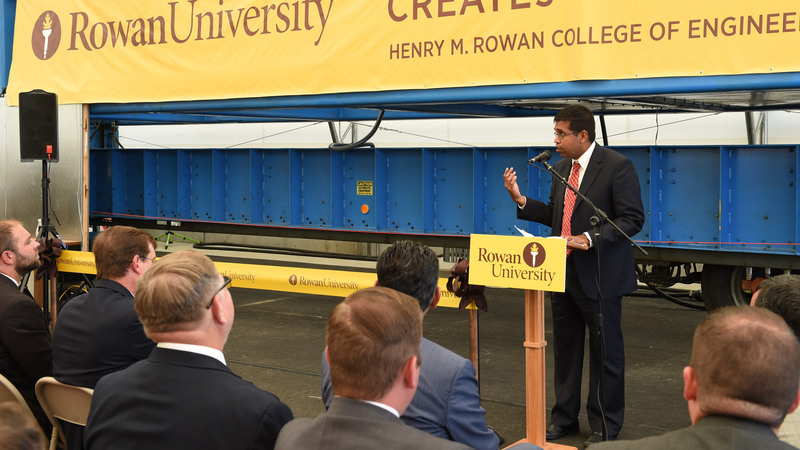 The potential to solve transportation problems for both the U.S. Department of Defense and state Departments of Transportation, including New Jersey’s, he said, is huge. “Our teams together are more than the sum of their parts,” he noted. CREATEs — a 50-foot by 90-foot structure that, in addition to the HVS, includes offices and space to run tests as well as an outdoor testing environment that can be designated for specific types of materials and clients — will employ up to 10 personnel in the first two years. 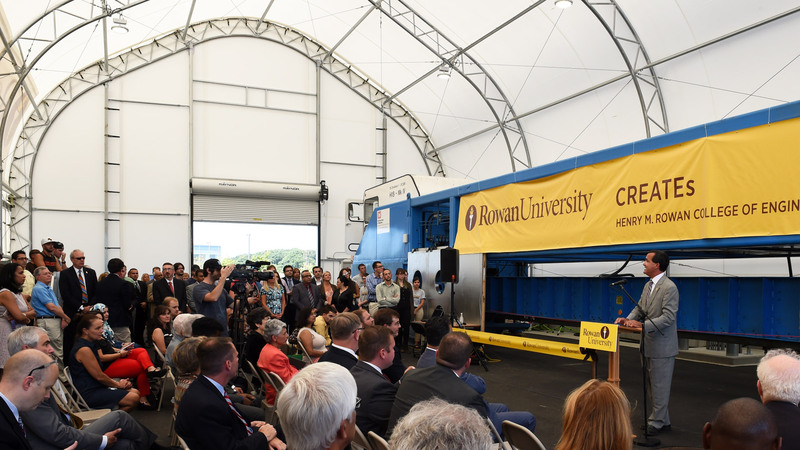 Those professionals will be able to test asphalt, concrete, other design or construction materials, soils and more in climate-controlled environments. The maximum 2.5 mph electric-powered wheel that is part of the HVS duplicates the effect of traffic, enabling researchers to evaluate such topics as soil failure, moisture impact and road structures and for clients to ensure quality and save money. For more information about CREATEs, contact Dr. Yusuf Mehta at 856-256-5327 or go to rowan.edu/creates/.